CLASS LEADING SOLUTIONS FOR THE TRANSPORT & LOGISTICS INDUSTRY. Purchase order interface and app funtionality for linking to goods in orders for comparison with POs/ASNs. optional 2 stage putaway and optional pre-allocation (reservation) of locations. optional override locations for putaway for special circumstances such as Quality Control. flexible Multi-order wave picking on scanner. Extra code capture on pick or despatch, including QR code with 2d scanners. different scanner access for different users such as Pick or Putaway. Interfacing with Carriers for printing of Carrier labels. Realtime visual reports for tracking of Goods In/Out and movements. Remote software updates and support of mobile scanners. Amethyst Systems is proud to offer our Amethyst Delivery Management System (ADMS) product, a complete proof of delivery (POD) system that can transform delivery efficiency and lower delivery costs. ADMS is a web based and handheld POD solution and provides real-time information on all fleet activity and gives you POD information quickly and efficiently. It’s simple to use and very cost-effective – being a complete hosted service you’ll have minimal outlay and it can be used with any Windows Mobile Embedded Handheld 6x device including fully rugged Intermec CN3 handhelds with bar code scanner or smaller semi-rugged Motorola ES400 (as pictured above). ☑ Simple interface and intuitive. Automatic or manual upload of daily routes, jobs, and/or products. ☑ Barcode scanning to confirm product delivery or collection. ☑ Failure codes can be entered by a driver or debriefed via the web application. ☑ Failure authorization codes can be used so that a driver needs to call for authorisation to proceed after a failure. ☑ VOSA vehicle and trailer checks can be recorded by a driver handheld device. ☑ Daily routes can be viewed in real time for completion, delays or exceptions. ☑ Extensive Management reporting suite. 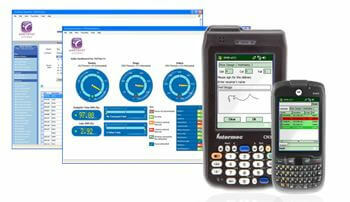 For further information visit our case study of Wincanton using ADMS. 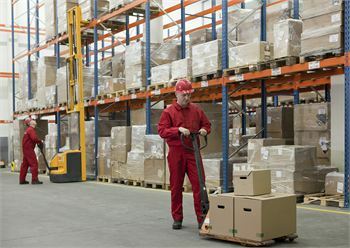 Planning and costing shift patterns for warehouse staff. Our system provides resource planning functionality and real-time staff and activity information. It takes imports from a hand scanning system to record shift start and end times. It also allows importing of actual hours and activities worked by employees in order to monitor against planned activity. Reports are generated in order to provide a real-time view of information. This application is a web application developed using .NET technology and Microsoft SQL Server. For further information on how we can make a difference to your business visit our case study for Tailored Recruitment Services Ltd, specialists in the recruitment and supply of personnel to the logistics and manufacturing industries. We created a solution to manage client bookings for agency staff and to allow clients themselves to approve submitted timesheet information simply. Or, simply give us a call today to find out how we can help you make the most out of the resources you have. 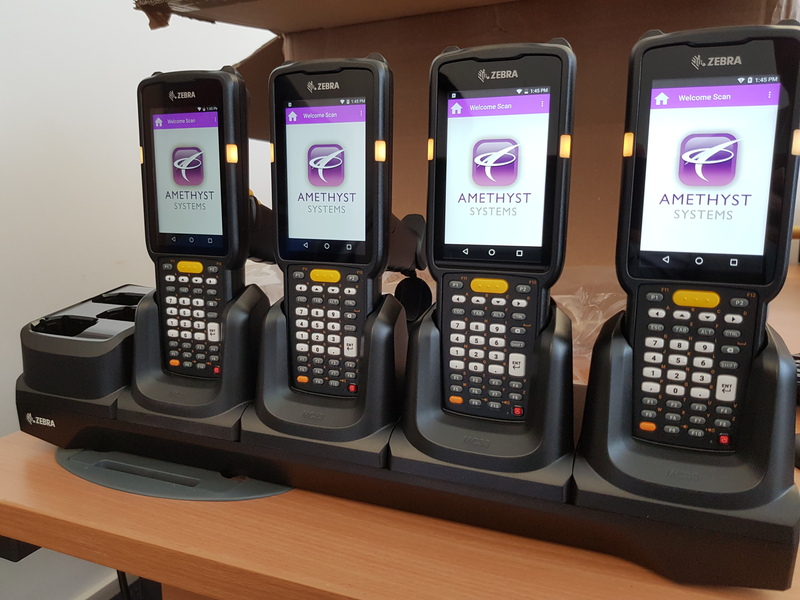 "Amethyst Systems have fulfilled our IT requirements in an amazingly short time frame, the support we have had during the implementation of the system and on-going has been invaluable in helping us meet our customer commitments." “The new survey application developed by Amethyst provides us with the ability to conduct multiple site surveys with ease. Our customers are very impressed with their ability to view survey results online through their own secure login.” Craig Bennett, Director – Sigma Group. “Ramsdens solicitors had grown over the years and so did our deeds database! Unfortunately, we only had access to the database for a single user so we employed Amethyst to take it from a single user access solution to a user-friendly web interface to service 150 staff using Microsoft core web and database technologies. We are very pleased with the work and the new solution even had some bells and whistles that we hadn’t thought about.” – Jamie Watson, IT Manager, Ramsdens Solicitors. “Amethyst Systems have again quickly delivered a simple, responsive and effective application. Our new software greatly helps us to manage our many energy efficiency projects and provides clients with immediate access to their project(s) status. The reporting suite helps to effectively view project status (Gantt chart) and also shows ROI to clients.” – Patrick Haslam, Programme Manager, Sigma. “Amethyst Systems has exceeded our expectations and delivered a fantastic system, on time and over specification. This system is invaluable to us and will underpin the sales and marketing activity of over 30 sales people, 250,000 prospects and 15,000 customers. I can’t recommend Amethyst Systems attitude, approach and delivery highly enough.” Andy Greening, Managing Director – OfficeScape Ltd.